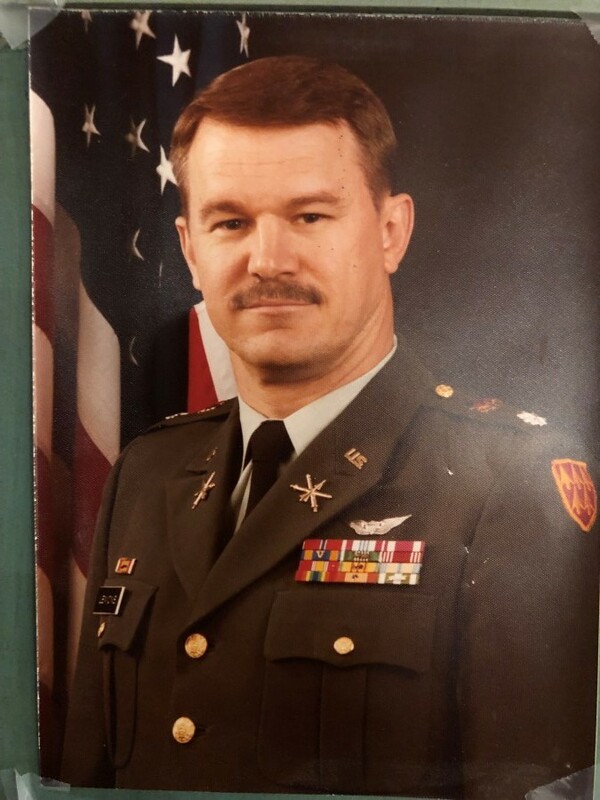 Retired Lieutenant Colonel Gerald (Jerry) Wayne Lemons of Glenn Heights, TX passed away Sunday, January 27, 2019 at the age of 70 in the Select Specialty Hospital at Baylor Scott and White in Dallas, TX after complications from surgery. After graduating Irving High School in 1966 he joined the United States Army from which he retired after 25 years of faithful service with the rank of Lieutenant Colonel. One of the things he was most proud of was starting Toys for Tots in the Texas State Guard. Jerry served in Vietnam and flew Airplanes called “Birddogs”. Jerry was shot down while on a mission and was able to call for help while saving the life of a Marine Corporal who was in the back seat. Jerry had so much respect for those he served with and continued to bond with the 183rd Aviation Company known as the “Seahorses”. Jerry loved serving his country. He knew how important it was to have a good education and so he continued furthering his education. He earned a Bachelor’s Degree in Business and Sociology from the University of Nebraska at Omaha in 1975, a Masters of Arts Degree from Webster University, a degree in Procurement Managements from Peterson Air Force Base in 1982, and a specialist in Education Degree from the University of Kentucky in 1991. Jerry never stopped learning and he continued through the years with earning many more certificates. Later Jerry joined the Texas State Guard and was awarded several medals for working in the Hurricanes and other disasters. He believed in the Guard so much that he convinced his Granddaughter Shelbi to join where she later met her husband Paul. After retirement from the military Jerry worked for Hilco Electric Co-op where he later became their CEO. Jerry had a calling to teach and in his later years he would spend teaching part time college level courses in business and logistics at the University of North Texas at Dallas, Cedar Valley Jr. College in Lancaster, Navarro College in Waxahachie and Midlothian, Mountain View College in Dallas as well as a short time spent teaching at the Waxahachie Preparatory Academy. All through Jerry’s Military career he was awarded several medals for his service including the Good Conduct Medal, Overseas Ribbon, Armed Forces Reserve Officer Medal, National Defense Service Medal, Army Commendation Medal (three times), Meritorious Service Medal (two times), Defense Meritorious Service Medal, Amir Medal (many times), Air Medal with Device for Heroism, Vietnamese Service Medal, Vietnamese Campaign Medal (three campaigns) Vietnamese Cross of Gallantry with Palm, Vietnamese Cross of Gallantry with Bronze Star for Heroism, Bronze Star for Meritorious Service, Legion of Merit, Fixed Wing Aviator Badge, Military Emergency Management Specialist Badge (Basic & Senior ranking), Texas State Guard Humanitarian Service Medal for working in Hurricanes, Texas Outstanding Service Medal and the TXSG Commanding General’s Individual Achievement Medal. Jerry became a Christian in 1989 and was baptized. He loved the Lord and made it a point of sharing the word of God every opportunity he had. Jerry was a member of Ovilla Road Baptist Church in Ovilla, Tx and loved his church family. Jerry was preceded in death by his parents Valton Lemons and Estelle Redden and son Gary Don Lemons. Jerry is survived by his wife of almost 40 years Sandra Gail Lemons, daughter Tamera Peterson, sons Daniel Lemons and wife Edna and Steven McAllister. 11 grandchildren Shelbi, Austin, Mandi, Dylan, Jacob, Pilar, Morgan, Michaela, Isabella, Ameila and Braxton as well as his honary grandsons Davey Bradt and Paul Stofer. 5 great grandchildren Emmitt Lee, Elliott, Carson, Emerson and Kina. Sisters Sharon Rivers and husband Tim Simmons, sister Barbara and Robert Davis and Brother Tom and Debby Redden. Services celebrating the life of Jerry will be held Saturday, February 2, 2019 at 2 o’clock in the afternoon at Ovilla Road Baptist Church in Ovilla, Tx. Friends and family are encouraged to gather Friday, February 1, 2019 from 6 to 8 in the evening at Wayne Boze Funeral Home in Waxahachie, Tx. Jerry will be laid to rest Monday, February 4, 2019 at 1230 in the afternoon at the Dallas Fort Worth National Cemetery where he will receive full military honors for his faithful service in the United States Army.